I haven’t had much to post here, since I’m still in the beginning stages. 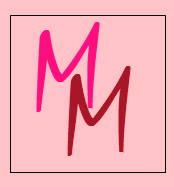 Everything in my little writerly world is ‘pending.’ I find myself wanting to play on the blog hops and promos of other authors only to remember–sigh, my book isn’t out yet! Until I have a product to share, I have to sit on the sidelines and watch everyone else play. At least it’s a good learning experience and I’m gathering lots of ideas for promotion. – I have not yet gotten edits for my upcoming novel, but I’m looking forward to them. I probably won’t be saying that when I actually have them and I’m pulling my hair out, but I’m eager right now. I’ve already filled out my marketing and cover art information with my publisher. Waiting to see your cover is exciting and nerve-wracking! – I sent a short story off to an anthology call. I like to write short stories for anthology calls while I’m working on a novel. It gives my brain a break so I don’t put my fist through my laptop screen. As an added bonus, if they accept the story, then I get exposure and publishing credits! I also wrote another short story for another anthology call, but it still needs some editing and rewriting before I send that one off. – I’m also working on another novel (unrelated to the one that will be published) and it’s neeeearly done. I plan to edit it and the sequel to my soon-to-be published novel (which is already written) at the same time. Let’s see if I can drive myself completely insane before spring. – I joined the RWA. Also its subchapters, the Fantasy, Futuristic, and Paranormal chapter and the NEORWA. The RWA is a wonderful organization for romance writers. They have so many resources and educational material for you, as well as a community to offer support and advice. I’d love to go to their conference in July buuuut…we’ll see if I have the money for that. Being a writer is expensive! There’s other conferences I’d like to attend this year, too. We’ll see how it goes. 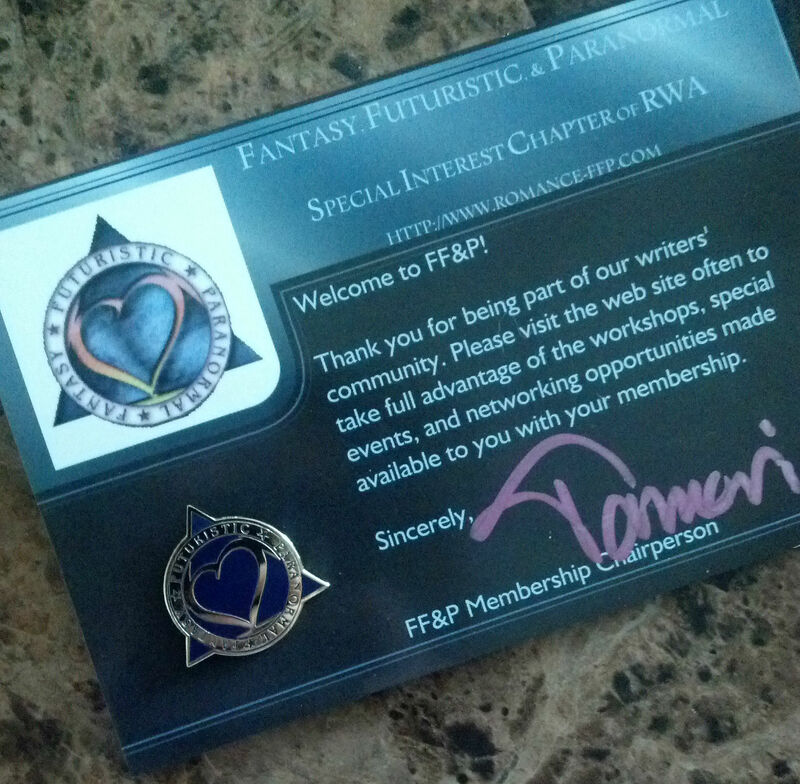 The Fantasy, Futuristic, and Paranormal chapter sent me this super cute pin, too! – I need business cards! I’m trying to come up with a clever design. – Writing, writing, writing. Seriously, sometimes as a writer you get so caught up in all the details you forget the thing you have to do the most is…write! Unfortunately there’s no magic fairy that takes the ideas from your brain and puts them on the screen for you. You have to do the hard work yourself. Sigh! So that’s what I’ve been up to lately–writing, waiting, plotting. I can’t wait to get in the sandbox and play with everyone else!